Gentle Giant’s back with some very exciting new items for this month. 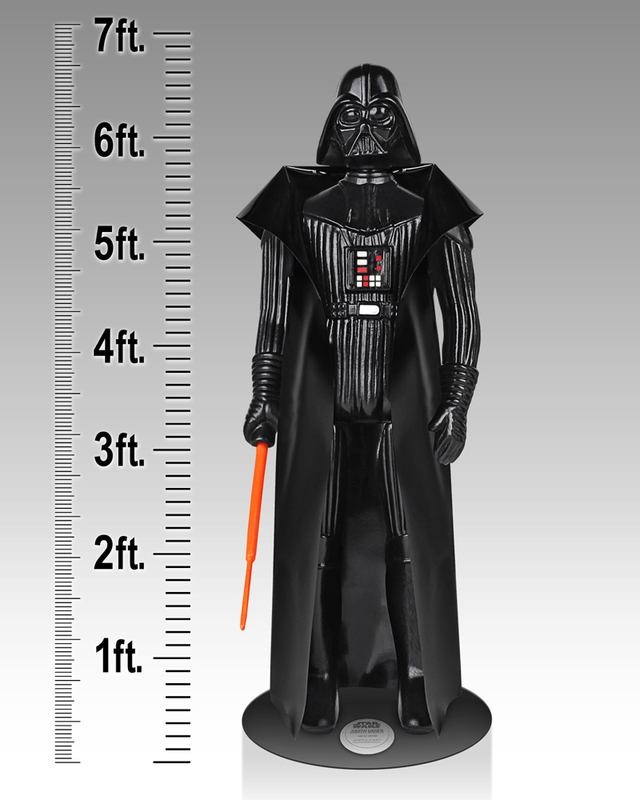 Gentle Giant is proud to bring you the latest addition to their line of popular life-sized monuments with the life-sized Kenner-inspired Darth Vader Monument! 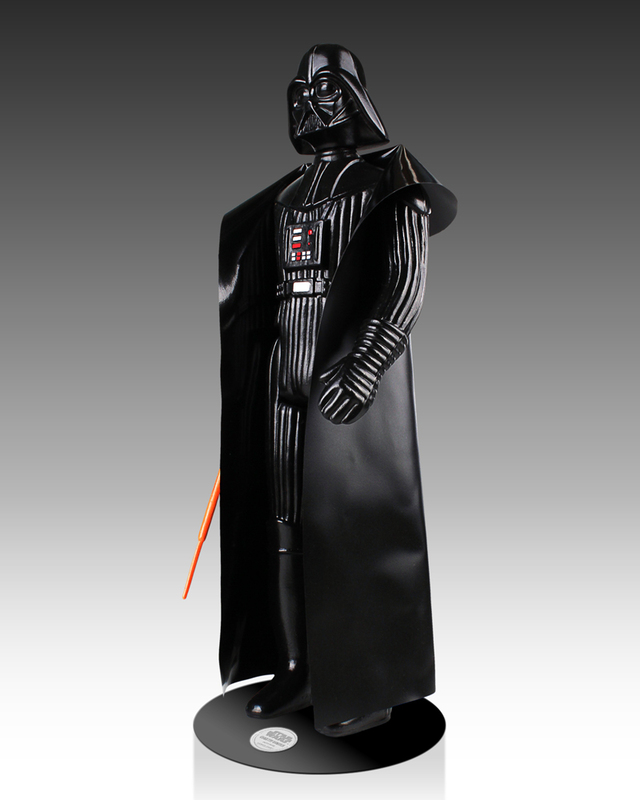 Digitally scanned from an authentic mint-condition 3 ¾” action figure and reproduced to a staggering SIX FEET tall, this fully articulated monument also includes an authentic extending lightsaber, and re-scaled vinyl cape! A stunning centerpiece for any true collector’s display, this limited edition hand-painted monument includes a matching certificate of authenticity. Star Wars Rebels continues the epic tradition of the legendary Star Wars saga with all-new exciting, action-packed adventures. It is a dark time in the galaxy, as the evil Galactic Empire tightens its grip of power from world to world. Ezra, a Force-sensitive intergalactic con artist and Chopper, a cobbled-together astromech droid with an attitude find themselves thrown into a much larger world of adventure and danger, as the Empire flexes their authority over their home world, Lothal. Gentle Giant Ltd. is proud to bring you the first new character from the highly anticipated new animated series, Star Wars Rebels – Ezra and Chopper! 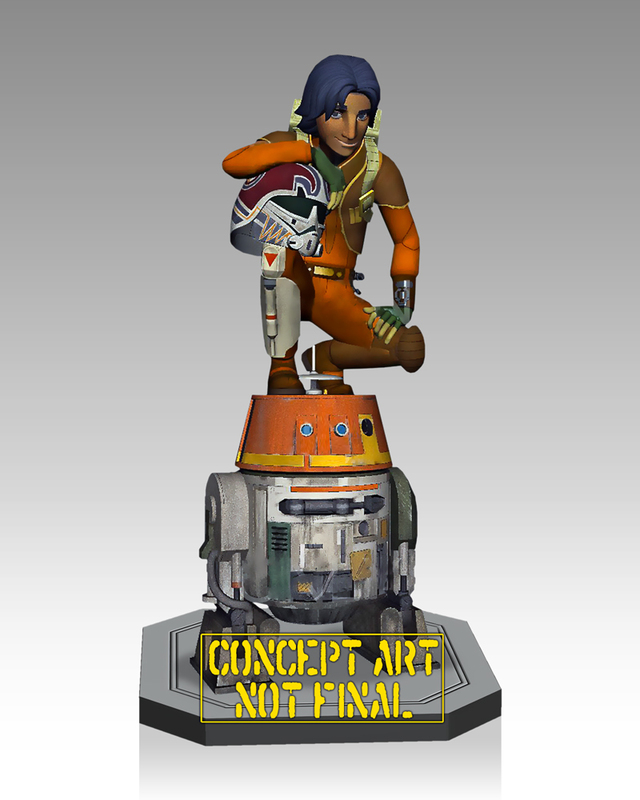 Crafted by the master artisans at Gentle Giant Ltd. in the bold style of the exciting animated series, Star Wars Rebels, the Ezra and Chopper Maquette is as screen accurate as you can get! From the paint scheme on Ezra’s pilot helmet to the subtle shades of Chopper’s various reassembled parts, no detail has been overlooked. Each hand-painted piece has been cast in high-quality polystone and comes individually numbered with a matching certificate of authenticity. The new generation of Rebels have arrived! Man and beast alike know Shanna O’Hare Plunder better by another name – the fearsome Shanna the She-Devil! Born in Africa and raised in the wild, Shanna grew up defending the animals of the savannah from poachers and predators alike. An encounter with the wizard Malgato ended with her being swept off to the legendary Savage Land. There, she found new threats and allies alike, joining Ka-Zar in his never-ending quest to protect his homeland. Gentle Giant Ltd. is proud to bring you the epic Shanna the She-Devil Statue! This dramatic limited edition statue depicts Shanna, the fierce jungle warrior confidently displaying her latest kill. Digitally sculpted by our master artisans, this statue is rendered using the highest quality polystone and hand painted. From the individual scales on the Each piece comes individually numbered and is paired with a matching certificate of authenticity. Make Mine Marvel! Gentle Giant Ltd. is proud to bring you the first piece in an exciting new Marvel Zombie Villains series, Magneto! Digitally sculpted by the master artisans at Gentle Giant Ltd. and cast in high-quality polystone, this disgustingly detailed, hand-painted limited edition mini bust comes individually numbered and is paired with a matching certificate of authenticity. Make Mine Brains Marvel! Finally… a surprise! 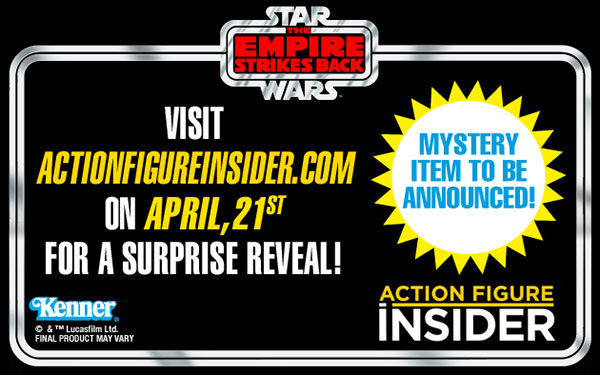 We’re teaming with Action Figure Insider to unveil our next Star Wars Jumbo Vintage Figure. Take a look at ActionFigureInsider.com on Monday for the special reveal!